It is necessary to make a distinction between the construction license in Quebec, Canada and the construction permit. The license is issued to a general or specialized contractor to enable him to build some complete buildings or parts of projects while the permit is issued by the municipality following the submission of plans and estimates of a project. a self-builder license for a personal project with special conditions. The Régie du Bâtiment du Québec (RBQ) is the government agency that grants licenses for general construction contractors and specialists in Quebec, Canada. compliance with the zoning by-law: field margins, permissible height, the use of the building and others. The deadline for the delivery of a renovation or construction permit in Canada varies according to the municipalities, the complexity of the project or the availability of municipal licensing officers. It can vary from a few days to several weeks. In Quebec, the application for a building permit can usually be done by the customer himself or by the general construction contractor. The permit application is usually made by the landowner prior to construction. Once the permit has been obtained from the municipality it are the RBQ and the CCQ organizations in Quebec who deal with monitoring if the executor of the project has an RBQ license and uses authorized workers with skill cards on the construction site. Finally, note that some small jobs do not require a permit for renovation such as repainting a room or changing a faucet. It is always advised to contact the municipality to know the requirements concerning permits. 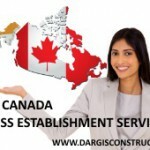 One of the unique benefits offered by Construction Daniel Dargis Inc. for your projects is to act, or as a general contractor for any type of building, or act as guarantor for creating your own business of residential, commercial and industrial construction in Quebec. A special and unique program is offered to you with five levels of autonomy to enable the construction and turnkey realization of your projects in Quebec, Canada. So, do not confuse building permits with licenses. The permit is normally issued by the municipality following the design of your project by your plans and estimates that you submit to the City Planning and Permits Department of the municipality. The license is linked to the company that built the project as a contractor certified in construction. In Quebec, Canada, to obtain an RBQ license with the categories for residential, commercial and industrial construction, requires more than money. It is necessary to take courses, pass exams or have an agreement with a sponsor because it is the safety of the public that depends on it. However, once in your possession, it gives you many privileges and protection from the competition. In the case of a residential construction license in Quebec, Canada, to build new homes, for example, it is, moreover, necessary to join one of the business associations in construction and a new home warranty plan. This plan serves as collateral to financial institutions so that your customers can get loans to buy your projects. The construction industry in Canada and Quebec has several laws and regulations that vary depending on the project type, location and size of the project. Organizations that legislate in matters of permits, licenses, codes and standards and labor law in Quebec construction are mainly: the RBQ, the CCQ and the municipality that welcomes the said project. Construction Daniel Dargis Inc. holds since 1989 the RBQ licenses as a general contractor and it has practical experience for the realization of the construction project in Quebec, Canada, that is important to you.